Daily real-time claims status reports highlighting problem areas that need to be immediately fixed. Real-time reports to show you daily Medicare Payments and future payments for accurate forecasting and planning. Manage all your claims from one simple, intuitive and powerful dashboard with ease. 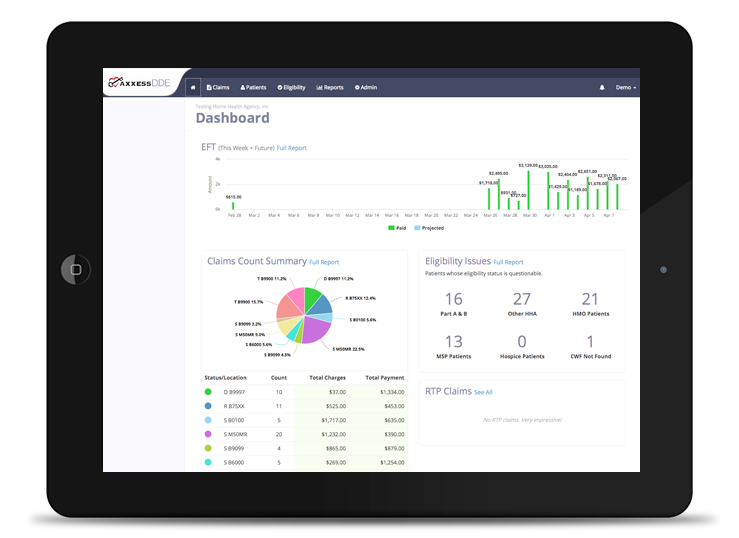 Real-time and cloud-based access to your claims count summary from anywhere at anytime for automated claims processing. Detailed breakdown of all your processing claims and their status for trending, analysis, forecasting and projections. Complete overview of coverage information for all patients including Medicare, MSP, HMO, Hospice or overlapping provider. Real time individual or batch Medicare Eligibility verification reports flagging problem areas. Receive alerts from anywhere on daily and future payments on any device of your choice. Avoid the financial risk associated with coverage changes from Medicare to HMOs or HMO to HMO or other insurance plans. Determine accurate insurance coverage or other overlapping provider episodes that can affect reimbursement on admission. Our cloud-based access empowers you to work from anywhere at anytime and effectively oversee your claims processing. 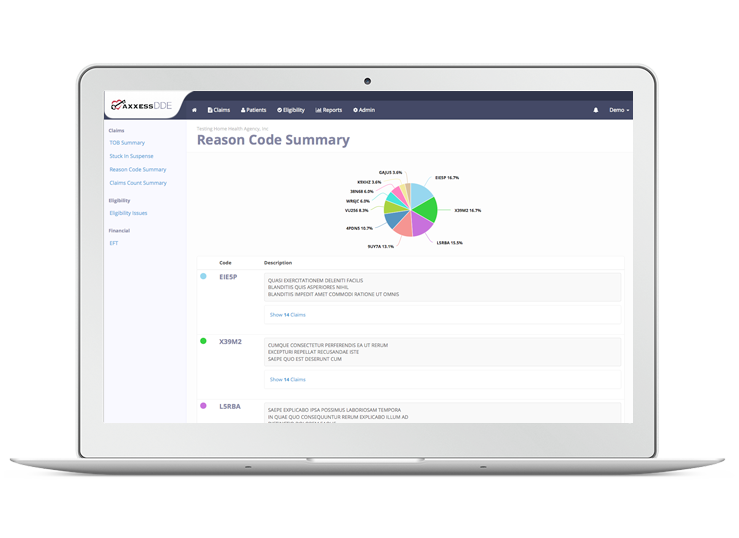 Easy to use, powerful dashboards give you an accurate view of all your claims activities for accurate forecasting and planning. 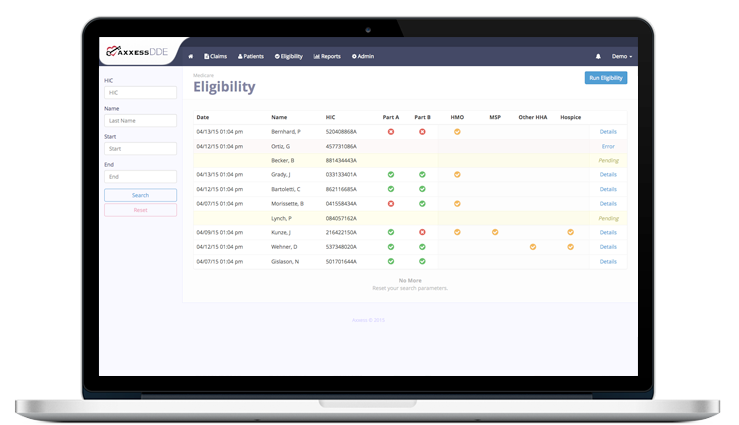 Access real-time claims status reports to view claims at risk for non-payment, cancellation, T-Status, suspense or eligibility. 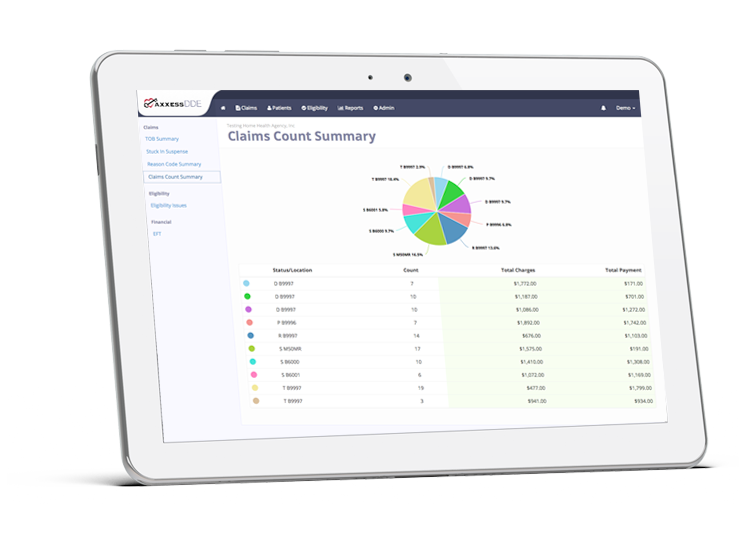 One-click claims review and recovery for fast claims correction to ensure optimal and faster reimbursements. No manual steps. Real-time access to payment history for 18 months and current claim status to view payment trends for analysis. Detailed and search friendly summary explanation of all reason codes to eliminate any guess work. Single to unlimited users can be granted access to manage claims and accelerate your reimbursements. Cloud-based access means there is nothing to install and you can log in from anywhere anytime on any device of your choice. Securely manage multiple NPIs, locations or users from the administrator dashboard. Software upgrades and updates included with your monthly subscription. No additional fees for upgrades or updates. Our customized and cost effective solutions are designed for the needs of single or multi-site organizations. 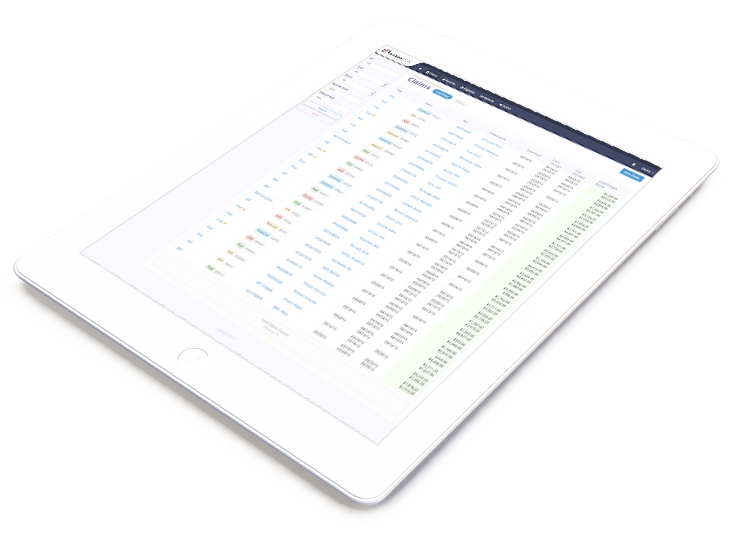 Real-time and one-click access to manage multiple NPIs and drill down or roll up information as needed. Secure and encrypted storage of DDE/FISS passwords. They remain protected confidentially and never revealed to anyone. We speak your language, our friendly & professional staff are industry veterans that understand you. Our industry experts and consultants are eager to offer you a personalized demo of AxxessDDE. We have solutions for organizations of all sizes and custom enterprise solutions for larger corporations.